If you live in Bradenton, FL or if you have ever had the pleasure of traveling to this city, then perhaps you have been able to explore the unique “Postcards From The Friendly City” art project. This project consists of large art panels that are located along the city’s Riverwalk and depicts the history of the area and the Manatee River. Art-Connects is a project that has been coordinated by the Downtown Development Authority. It engages artists and students who are studying the history of the community and enabling them to convey their findings through works of art. Expanding upon the research that has been conducted by students, artists Don Brandes and Jean Blackburn have been commissioned to clearly express the great history of the Manatee River through ten large postcards, which have been positioned along the Riverwalk. Life on the river consisted of very hard work in the climate of Florida. Early homesteaders had been isolated from the inland areas of the town, and its river was their form of connection to the city and neighbors who resided next to them. 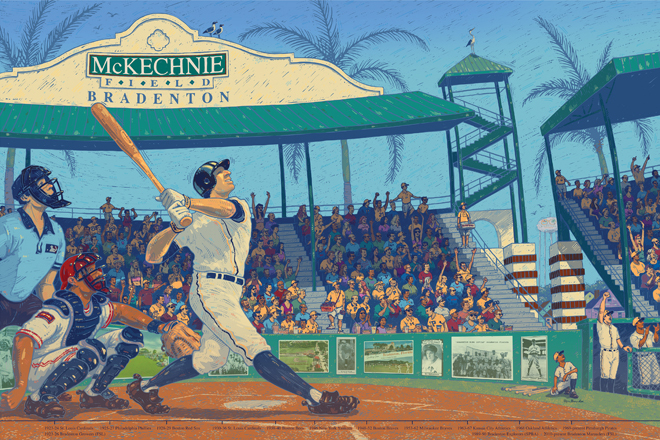 A Bradenton tradition since 1923 has been baseball. Many minor and major league teams have called the city their home. Since the year of 1969, the Pittsburgh Pirates have utilized LECOM Park for their spring training sessions. The Bradenton Marauders began their minor league games there starting in the year of 2010. These are just two of the ten inspiring paintings that are part of the “Postcards From The Friendly City” art project in Bradenton. 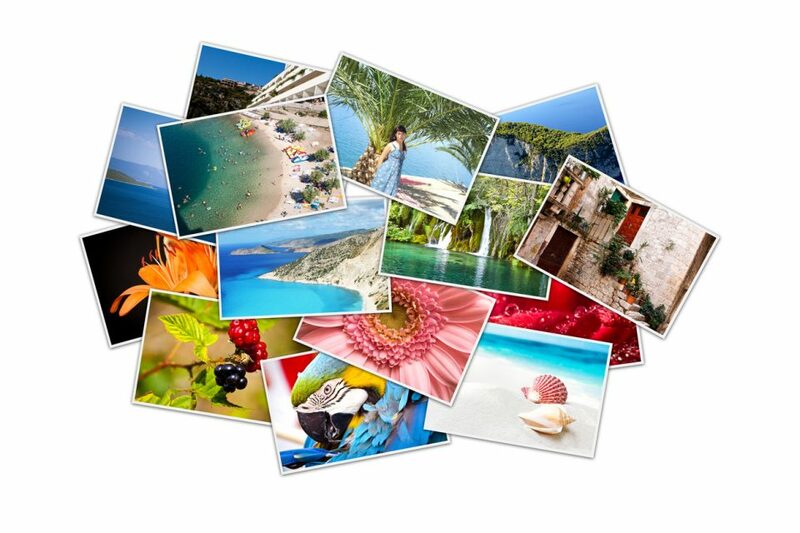 You can also see postcards titled Water Above, Water Below, Boats, Million Sunsets, Welcome to Manatee Lands, Come Back Soon, Our Roots Run Deep, Fishing, and To Cuba. 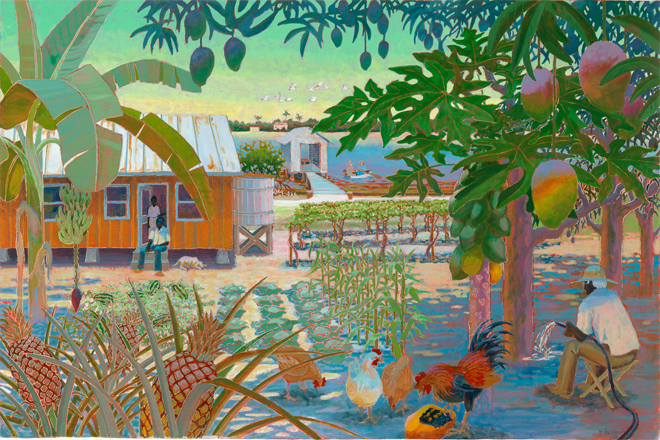 All of these Postcard art projects are based on the History of Bradenton, and every last detail was considered by Don Brandes and Jean Blackburn in their creation of each piece. Drive your Honda out for a look at the displays, today!